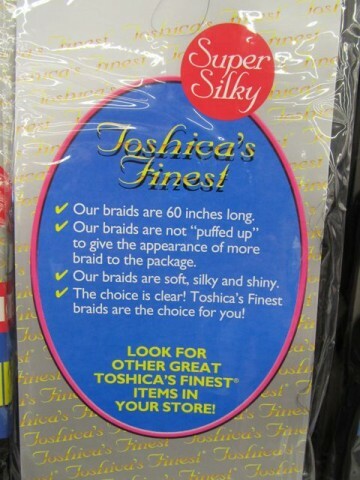 What’s Bueno At The 99¢ Only Store: Toshica’s Finest Jumbo Braid! 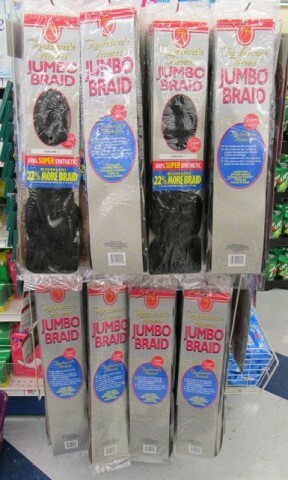 I DON’T KNOW ABOUT YOU, but in this economy, I just can’t pay crazy salon prices for my synthetic jumbo braids anymore. Look, I felt the same way – at first. But what if these braids were sixty inches long and not “puffed up” to give the appearance of more braid to the package? What if they were soft, silky and shiny? What would you say then? Still not convinced? Well, then what would you say if I told you you’re getting 22% more braid – for free? 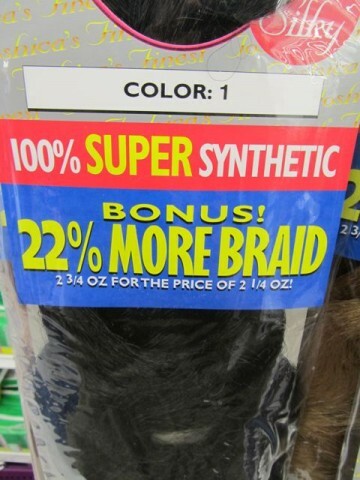 Oh, sure, you’re paying for 2-1/4 ounces of 100% Super Synthetic jumbo braid, but for you, today, you’re getting 2-3/4 ounces of 100% Super Synthetic jumbo braid. So, yes, friends, the choice is clear! Posted by Ted on March 12, 2012, 12:01 AM.